Hallaron Advertising is proud to announce the new hiring of Senior Copywriter Marcus Dunaway. A professional writer with 25 years of experience, Dunaway will bring a depth of business experience and solid communication skills to the agency. 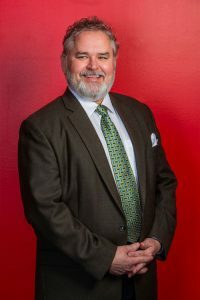 Since 1993, Dunaway has been employed as a business, technical, and feature writer for a wide variety of clients and publications in the greater Houston area. In 1996, he started his own company, Compliance Documents, which he operated through the end of 2017. With a client base comprised primarily of oil and gas customers, Dunaway’s company successfully completed hundreds of individual documentation projects in support of marketing, engineering, safety, and regulatory compliance efforts. 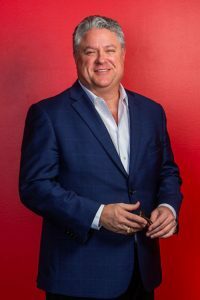 Equally at home in a Fortune 500 C-Suite conference room or the garage office of a home-based business, Dunaway brings with him an ability to quickly connect with clients and help them communicate their ideas effectively. At Hallaron, Dunaway will be responsible for helping to craft creative and strategic messaging for a diverse client base. He will work with the creative team to ensure all written communication accurately addresses the needs and goals of each client. “I’ve known Marcus for more than 40 years and I trust his strategic insights and writing skills. He has one of the quickest minds and is one of the most creative thinkers I have ever known. For years, I have tried to lure him to our agency. He will be a key asset to all of our clients,” comments agency owner Mike Hallaron. Hallaron Advertising is a full-service agency located in The Woodlands, Texas. The company was founded as a digital web design shop in 2003 before growing into a diversified agency offering a wide range of professional services. Today, the agency boasts an experienced strategic team and a skilled, agile creative team working together to build brands, streamline marketing communications, develop websites, and implement strategies that translate into real growth for its clients.